This Workshop will teach participants how to assemble basic circuits and combine it with crafts. First, you will get an introductory overview into the world o soft circuit tools and techniques. 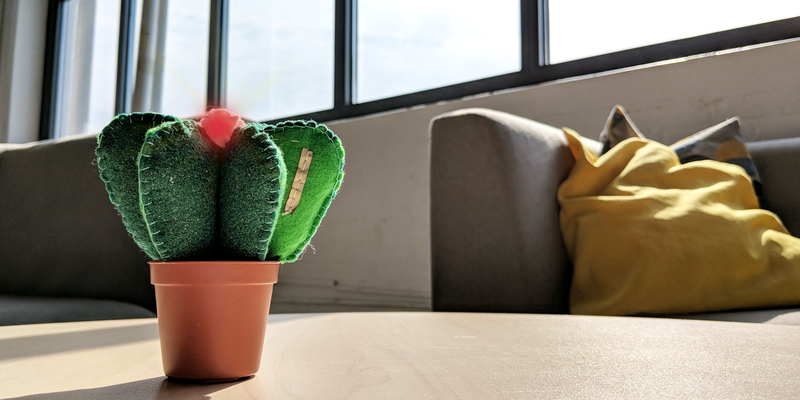 Next, you will sew an interactive fabric plant, that lights up when one pushes it’s leaves together! You will learn how to experiment and build a soft circuit with sensors. If you want to go further you can purchase a Teknikio Sensors n Spaces kit at $15 off the regular price! At Teknikio we are on a mission to inspire people of all ages to design and create with technology. Our electronic parts are designed to be easy to embed in everyday materials like fabric, paper, and cardboard. Our toolsets show you how to design and build interactive projects to reimagine your world.